Teresa L. Giarrusso serves as the Client Experience Manager for EverVest Financial in the Greater Phoenix, Arizona area. She began her career in the financial services industry in 1997 and has worked with various firms. She earned her bachelor’s degree in Global Business Management from Arizona State University, and a Master’s Degree in Business Administration from the University of Phoenix. Teresa has also earned the AAMS designation, from the College of Financial Planning. 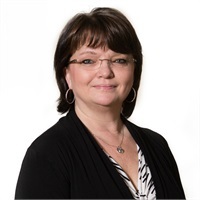 Teresa assists Elizabeth Mahoney with her clients' planning needs and ensures clients' overall satisfaction. She is available to help with various issues and questions as they arise. Teresa is also a registered associate and can assist with general investment-related questions as well. Teresa has a passion for empowering young women to become leaders and fulfill their potential. She volunteered in many capacities with the Arizona Cactus Pine Girl Scouts located in Phoenix for thirteen years, and in 2013 was awarded the Volunteer Service Award from Wells Fargo. Currently, she is a member of the Sun City Rotary serving as the Satellite Chair and President - Nominee of the club and serves as a Trustee on the Royal Oaks Board of Trustees - Royal Oaks is a Non Profit Retirement Community in Sun City. Teresa has three adult children and a daughter-in-law along with two grandchildren and one granddaughter on the way. She and her family love volunteering and traveling together.